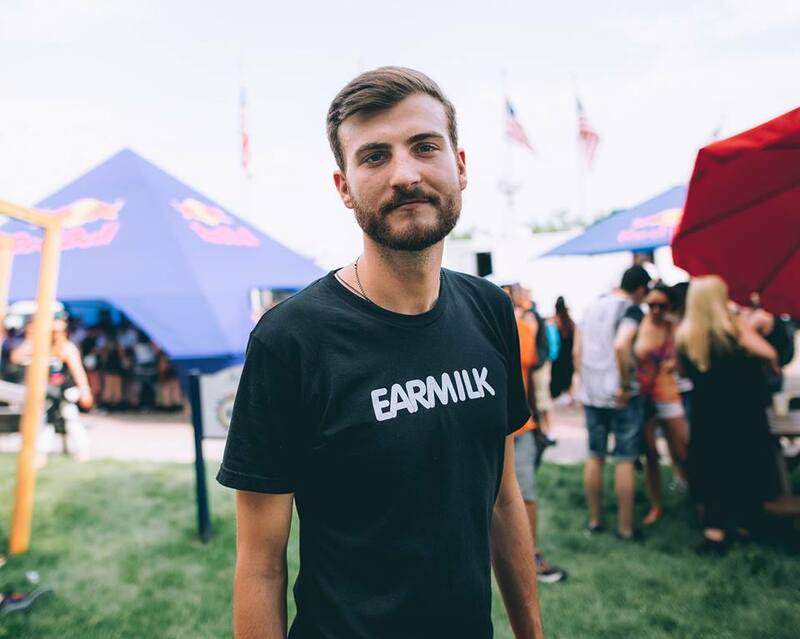 Christian Smith has been a regular in the US of late, playing in New York, San Francisco, Los Angeles and also a debut performance at Lightening In A Bottle Festival. 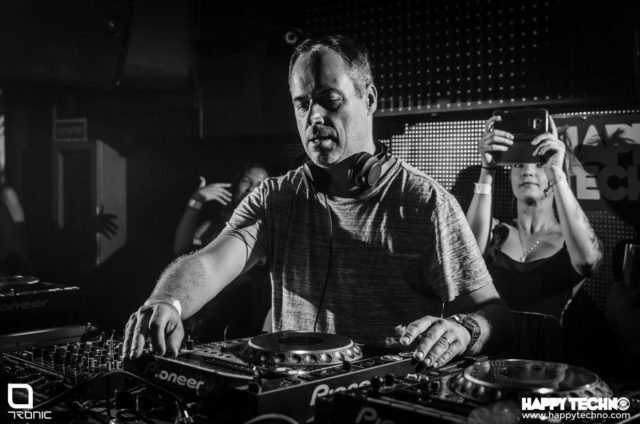 Aside from being on the decks, he has been busy in studios all over the world for the last 10 months, working on some very special collaboration tracks, all to be featured on his latest album due out in October. “Synergy” contains 11 original collaboration tracks with artists including Harry Romero, John Selway, Wehbba, Drunken Kong, Victor Ruiz and 2Pole. 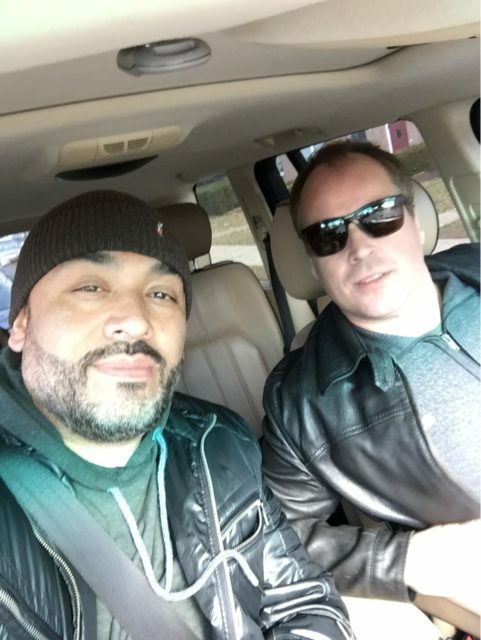 The Tronic label boss spent some time with House legend Harry Romero in New York to work on their “Neon Jungle” teaser EP, out this past Monday the 14th. You can pick up a copy of the EP on Beatport here. We handed over the controls for a very special b2b interview exclusively on EARMILK and allowed the artists to ask each other some grueling questions, from their producing ethos, to their families' responses to their music, and the all important question of why Christian Smith doesn't wear black. They started it off with six questions from Harry Romero. Harry Romero: After knowing you for some time now I know you've lived in many places across the globe. Of all the places you've lived which place has inspired you the most and why? Christian Smith: That’s a tough one to answer. In really enjoyed living in New York during the early party of my career, because the scene there was very inspiring in the early 2000's. You had Limelight, Twilo, all legendary clubs with amazing events. I also loved the fact that even though I was a foreigner I felt at home in NYC. I did love living in Brazil too, and now finally settled in Mallorca – they were all good for different reasons and also different stages of my life. The best thing about being a DJ, is that you can live anywhere, as long as you have a good airport. HR: Through working on this EP with you I noticed you really don't second guess the process. You kind of just go with your gut. Has it always been like this for you or was there a time in your production career where something just clicked and you stopped second guessing yourself? CS: Funny you should ask this. I specially remember when we worked together that our workflow was really fast and you said "We have been around long enough to know when something is right or not" I think this really sums it up. With experience you get more confidence and learn not to waste time. HR: Are there certain influential people that kind of guide you in your creative process? For me it's been artists like Kenny Dope and Derrick Carter. Who has been your muse? CS: I didn't really have someone to guide me into my career. I had people like Carl Cox that helped a lot by booking me at his events, but in terms of personal guidance, looking back, I would have loved someone to provide input. I made some mistakes, but overall I am really happy where I am now, and I love what I do every day. HR: What do your parents think about the music you make and play? CS: I remember the day I told my parents that I would start touring and making music full time. I was living in Stockholm at the time and attending graduate school at Stockholm School of Economics. I was almost finished my masters degree, but I decided to drop out and pursue my passion in music. My father thought I was crazy because the school I attended was very prestigious and would have guaranteed me a good job in the corporate world. But as soon as I stopped asking my parents for money they were fine with it. They don't really understand house or techno, but they know that the industry has grown a lot and are happy that I get to travel the world on a yearly basis. HR: We all at some point go through some sort of writer’s block. Explain how you work through this. How do you reset those creative senses? CS: The key to this is to take long breaks. I feel that when I work too much, too often, that my inspiration disappears a little. But when I take a long break, when I head back into the studio, everything feels fresh and things flow easier. I have noticed I get much better results too. If I get stuck in a loop for too long, I just start a new project. I don't like to waste time, and feel that is the flow is not there, then its probably better to be working on something else. HR: How come you don't wear black T-shirts like the rest of the techno crew? CS: Ha ha ha – I do, but I also make a point that I am not a sheep. I am not afraid to break the rules now and then. Too many sheep in our industry. No matter if its music or fashion, I am not a follower of trends and do what feels right. Sure, not everyone might like my music, but I couldn't care less what the current trends are. I think this is one of the main reasons why my label has lasted so long, we do not follow a trend….trends come and go, and so would have the label. After Harry’s questions, we turned the interview duties back to Christian Smith for seven of his own questions. CS: I remember you from the time I lived in NYC in the early 2000's. Even though I'm mostly known as a techno dude, I personally always loved house music as well, and saw you many times at Centrofly etc. How did you hear about me? HR: I remember hearing about you by going to Satellite Records and buying your music! I was a fan first. I kind of always had a foot in techno and the other in house and the people at the record stores knew this. There was always one of your records in my pile. CS: You took me to eat at some amazing local Colombian food when we worked in the studio together. What are some of your tips when coming to NYC? HR: My first tip would be to tell people to come to New Jersey. I am not a city boy by any means. Here in Jersey I can show you the dope spots to eat, shop and get a great haircut and shave. CS: One thing that really impressed me when working with you in the studio has that you do not use a ton of plug ins. I really learnt a lot from your less is more studio approach. What are some of your tips? HR: My approach is an old school approach. We didn't have a lot of gear in the early days so we worked with the little we had. A couple delays and a couple reverbs is pretty much all we had for effects. The rest was all gut and thinking outside the box. I usually already know how I want things to sound and have figured out fast ways of getting there with the plug-ins. I don't fuss about much. A tip I practice daily is to make sure your foundation, kick drum and bass line, are proper for the track you are making. Maybe a corny metaphor but it's like a house, if the foundation is weak it will never be solid and stable. Same goes for House and Techno. CS: We both have lovely families. How do you keep balanced between making music, constant touring, and family time? HR: Well you know as well as I, that is a tough juggling act. I really try and carve out time for my wife and kids and try very hard to be present during that time. Am I always thinking of the next tour or next track? Absolutely, but I try and make time for the business and if I didn't get to it today I will get to it tomorrow. Family first. CS: You've been in this industry for well over 20 years. I presoanlly love the fact that house and techno are fairly close together and most of use support each other support. How do you feel. HR: The lines between Techno and House have certainly been blurred in the last few years. I think that House takes from Techno and vice versa. I think this is a healthy thing for the industry because that's really how the roots of the genres started. They are siblings and with the same parents and I'm glad techno DJ's support my music as I will always support Techno. CS: You are an absolute machine in the studio. How much music do you make in a month, and what keeps you motivated? HR: I probably make between 6 to 8 tracks per month. Motivation for me is everywhere. TV commercials, music at a restaurant, car radio, you name it I am always listening. I am constantly Shazaming or on YouTube. It's my blessing and my curse that I'm usually always motivated. And I really, really like making beats. It's an extension of me like another body part. It's really hard to explain. CS: Do you have a hobby outside music? HR: I really enjoy fishing and archery. Both are really challenging and have zero to do with music. For me it's really important to have a hobby that allows you to focus on something other than creativity. As artists we have to find passions outside of our everyday expression. Otherwise it can be real easy to burnout. You can check out our premiere of "Neon Jungle" here. You can pick up a copy of Christian Smith & Harry Romero's Neon Jungle EP here.